Are We Trying To Christianise Our Society? 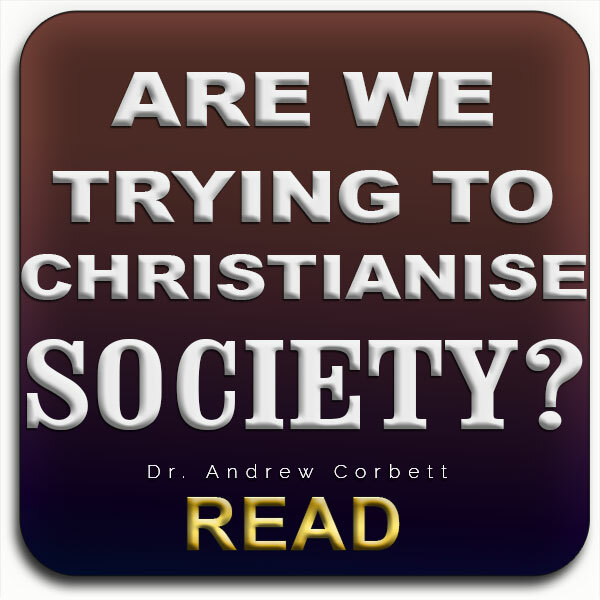 home > articles > Are We Trying To Christianise Society? The claim is sometimes made that as Christians around the world are getting more involved in politics that they are plotting to christianise their societies. Even many Christian leaders have criticised this Christian political movement by saying that it is not right to enforce Christian standards (such as marriage) onto a secular society. One leader even defended his view that marriage need not be limited to a man and a woman, based on the assumption that it is wrong for Christians to expect non-christians to act like Christians. He cited Canada as an example of how non-christian standards had not caused the “sky to fall in” on their society. This line of reasoning often includes the appeal to a “separation of Church and State” where this means that the Church should not expect non-christians to uphold Christian teaching (which is not what this expression was ever intended to mean). This expression has now been so pummeled into this new definition that even some Christians now unquestionably accept it. 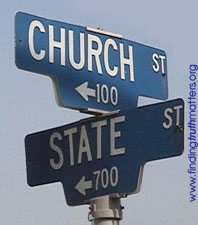 The concept of separation of Church from State was originally proposed to describe the illegitimate role of secular governments interfering in the affairs of Church matters- not the other way around! The Church surely has as much right as any other lobby group or organisation to promote views it regards are for the best welfare of a society. Claiming that Gay-Marriage or any other aberration of marriage should be accepted by society with the argumant that marriage is as much secular as it is Christian and therefore secular variations should be accommodated is misguided. Marriage is neither intrinsically Christian or even religious. Marriage is actually “original” and a part of the Covenant of Creation which God made with people. It is therefore found in every culture in every time throughout the history of mankind. It is not a Christian concept, but a divine one which overrides any appeal made by secularism. BY SPEAKING OUT AREN’T WE CHRISTIANISING? When we defend the place of the Moral (or “Natural”) Law aren’t we in essence appealing to non-christians to at least behave like Christians? Not at all. In fact, if this was what we were asking for we would be severely injuring the cause of Christ since Christianity is not merely about a change of behaviour but a change of heart! If we were trying to “christianise” our societies we would be asking for Holy Communion to be made compulsory for every citizen, or for Sunday to the day for compulsory church attendance. That would be attempting to Christianise our society. When we defend the rights and welfare of individuals and their property we are simply upholding the moral law which are laws common to all whether they are religious or not. The Moral Law tells us that certain things are right and certain things are wrong- no matter what our opinion of those things might be. The test of morality is the welfare of the individual. 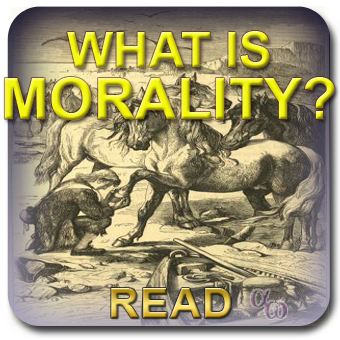 That which is immoral is inherently harmful to a person’s welfare. Therefore murder is immoral because it is so harmful to a person’s welfare. Adultery is immoral because it too is harmful to not only the parties involved but also the betrayed spouse. Sexual misconduct is immoral because of the harm it inflicts physically, emotionally and spiritually upon its victims. To claim that when immoral legislation (that which counters the Moral Law) has not really harmed a society, such as Canada, is a curious statement when these decision were only made within the last few years and already there is indeed negative fall out from it (none the least from those who have taken advantage of this radical legislation). The “sky” doesn’t actually have to “fall in” for a negative impact to be made upon a society! 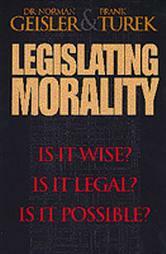 People who claim that Morality can not be legislated because legislation does not change anyone’s behaviour do not understand that the purpose of any legislation is to articulate what is right (moral) and what is wrong (immoral). If we honestly believe that morality can not be legislated then we would do away with any legislation which didn’t bring universal observance. The question should then be asked, “Is any legislation universally observed?” The answer is no. Think about it. If we believed that legislation against murder was failing to prevent murders, then why not simply do away with laws against murder- if legislation is only valid if it changes everyone’s hearts and behaviour! Are we trying to Christianise our societies by speaking up for laws which reflect the Moral Law? Not at all. Are we claiming to be superior to our society because we are religious? Not at all. Do we want to see penalties prescribed under the Old Covenant enforced today for people who violate sexual laws? Not at all. All of the penalties of the Old Covenat Law have been borne by Christ. Does this mean that these sexual laws no longer reflect the Moral Law? Not at all. Indeed we have compassion for all people caught up in any form of immoral sexual addiction. But compassion should not be confused with tolerance. I don’t think there is any other group within society that does more for both the victims and perpetrators of crime than Christians. While Christians are cast as intolerant soap-boxing, finger-pointing bigots, the reality is that it is Christians who have established halfway houses, soup kitchens, prison visitiation programs, drug rehabilitation centres, medical clinics, and schools to show compassion to all people, and especially those impacted by violations of the Moral Law. We are trying to promote laws which are beneficial for all of society. We know that this is often met with hostility by those who interpret this as bigotry. And it is our wish that all those who believe in Higher Laws will defend this position graciously and in a way that is genuinely compassionate for those who hold a different perspective. How Should A Christian Think About Climate Change? There are a large number of Evangelical Christians who simply reject the claim that the Globe is unusually warming. Their denials often downplay the cries of scientists alarmed about the current global warming trends. These Christians scoff at such alarmism and dismiss these weather patterns as merely normal cyclical trends that have carried on this way for centuries if not millennia. 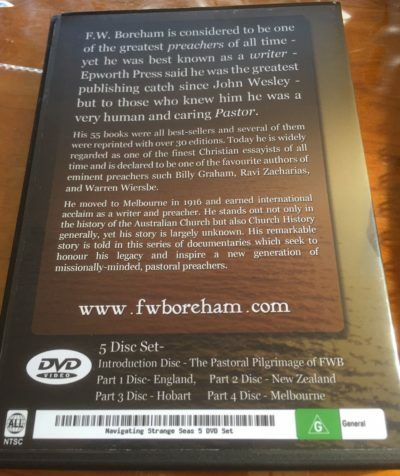 Already there a groups within the Evangelical Community who are widely publishing books and DVDs to counter the idea of global warming by claiming that the data used by scientists is built entirely upon a false premise (which we’ll examine later). On the other hand there are some Christians who are acknowledge that what we call Global Warming is no mere cyclical event. They recognise that the earth has never before experienced such rapid warming. They share the concern of Environmental Scientists who claim that the Earth is rapidly warming – that is, it’s still going to get a lot, lot hotter. This will cause much of the polar ice-caps to melt resulting in massive sea-level rise (currently about 3mm a year but expected to be about 5-6mm a year within the next 10 years). This means that several South Pacific Island nations, such as the Marshall Islands, shall be wiped out within 20 years since they are less than 2 metres above sea level! Great chunks of Chinese, American, and European coastlines will become uninhabitable, if not completely destroyed, if the current predicted trends continue. And for Christians disposed toward an apocalyptic outlook for the future all of this is just the earth’s destiny. As different as both groups are in their interpretation of these events, they actually share a common response: do nothing. Denialists argue that there’s nothing really to worry about so let’s just keep going the way we’re going. Apocalypticalists argue that it is entirely the hand of God bringing the world to an end and therefore we cannot and should not resist it. I recently watched a docu-drama called Egypt in which there was a scene when a French Vatican representative opposed a piece of Egyptian artwork potentially being dated any older than 2439 B.C. by an expert into Egyptian artefacts, since that would contradict the Biblical account of the global flood destroying all of mankind. The fear was that experts would conclude that the artwork was made around 3000 B.C. I felt like screaming at the TV! Where in the Bible does it say that Noah’s flood occured in 2439 B.C.? The answer is: no-where! 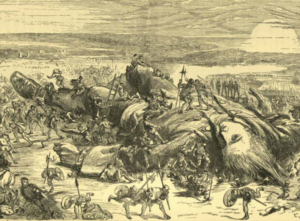 But thanks to the faulty chronology devised by Bishop Ussher who incompetently calculated the age of the earth, the date of creation, the time of the Great Flood- all based entirely on his calculations of the genealogical accounts within Scripture, there are now millions of Christians who believe that the ridiculous dates proposed by Bishop Ussher are actually stated in the Bible. The most absurd date given by Ussher was 4004 B.C. as the date for the beginning of the world. This would mean that the earth was created to look ancient even though it was only created recently. Thus, when scientists claim that the earth is 3.8 billion years old, Denialist Christians, who sincerely believe that the Bible teaches that earth is “young” (around 6,000 years old), scoff at such ideas as contrary to God’s Word! But Bishop Ussher blundered. 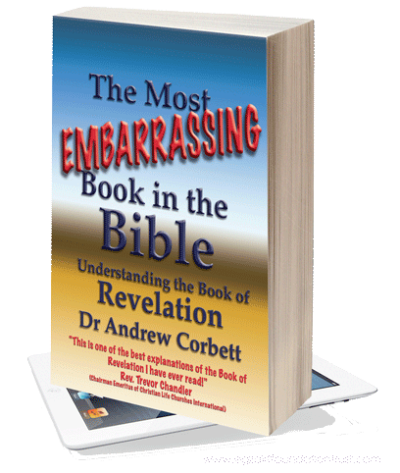 He failed to calculate the genealogies accurately or compensate for the many generational ommissions that Hebrew writers deliberately employed (the best example of this literary style is Matthew chapter 1). Therefore, while Bishop Ussher falsely assumed that he could calculate the age of the earth based on genealogies, he further miscalculated the age of mankind by his inept calculation of Biblical genealogies. It is quite plausible to arrive at a creation date for Adam within the range of 30,000 – 50,000 years ago based on a more accurate calculation of Biblical genealogical records. It is also quite plausible to assume that the earth was created long before God created Adam. It is far more probable that the days of Genesis 1 are “ages” or periods of time rather than 24 hour periods. This means that the earth could actually be 3.8 billion years old based on the Biblical record. If this is the case, Denialists should reconsider the basis of their denying the trends that scientists claim are based on hundreds of thousands of years of weather patterns and consider that this is a rather unusual weather pattern that the globe is experiencing. I’ve just returned from stretching my slightly atrophied legs. As I went to listen to the radio I heard a local talk-back radio caller describing the Christian response to Global warming. She said that Global Warming was a Biblical sign of the end of the world, and that Christians should know their Bibles better so as not to be caught up in the hysteria. This is the other pole of faulty theology resulting in Apocalypticalism. Is Global Warming a “sign of the last days”? No. I was bemused to hear the absence of any Scriptural citation for this sincere lady’s claims. 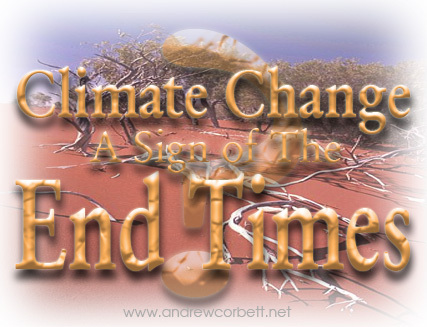 Put simply, the Bible makes no such claims about Global Warming being a sign of the last days. Any reference to Matthew 24 or the Book of Revelation needs to consider that Jesus gave a strict time-frame reference for when these would occur- and none of them pertain to our time! 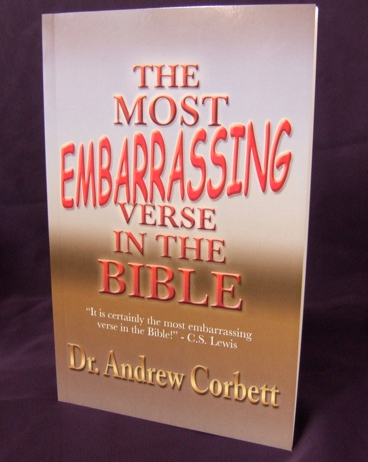 I present the reasons for this in my eBook- The Most Embarrassing Verse In The Bible. HOW SHOULD CHRISTIANS RESPOND TO GLOBAL WARMING? Al Gore has come under much ridicule from some in the Christian community for his campaign to avert Global Warming. This is a shame. Most of those who are criticising him have not seen his docu-movie An Inconvenient Truth and have therefore not seen the heartfelt passion this man has for saving the planet from self-destruction, or the data upon which his concerns are based. Christians don’t worship creation but we can make our care of creation an act of worship. Denialists and Apocalypticalists are both wrong. Denialists are wrong because Global Warming is happening and something should be done to avert it. Apocalypticalists are wrong because the Bible has not prophesied the doom of earth through Global Warming – therefore complacency is similarly unacceptable. While Global Warming is now generally accepted as occuring, the real question is: Is Global Warming the result of human activity alone (such as increased carbon emissions due to fossil-fuel consumption)? Or, is do rises in global carbon levels follow global warming? Professor Ian Plimer, Chair of Mining Geology at the University of Adelaide, says that global warming is a fact, but its cause is certainly not human. Professor Plimer believes the IPCC has neglected historical evidence of past climate changes, which are recorded in the rocks. “When we look at the history of climate changes, not one has been driven by carbon dioxide,” he says. Prof. Ian Plimer, News.com.au report. Professor Plimer makes a very strong case in his book about global warming, Heaven and Earth – Global warming: the missing science. Dr Jay Wesley Richards of the Discovery Institute, makes a similar point to Professor Plimer. If these men are right, Christians at least should be sceptical about how responsible carbon-emissions are for global warming. Christians can, however, lead the way in being responsible stewards of God’s earth in a way that directs scarce resources to solving the most urgent crises facing the well-being of humankind. This at least includes clean drinking water for everyone on the planet, the erradication of malaria, free literacy and numeracy programs for every child on the planet and affordable housing. Most people have been conditioned into thinking that the American “experiment” with Prohibition of alcohol in the 1920s is the only historic example of Prohibition. Secondly, most people have been conditioned to regard that “experiment” as a complete failure. Thirdly, most people have been told that the reason it was a failure was because it failed to stop certain kinds of behaviour. Both of these conditioned reactions to Prohibition deserve to be challenged. The ratification of the 18th Amendment nationalized prohibition in 1919. Supporters of the Volstad amendment believed that: by abolishing alcoholic consumption, one might also abolish crime, poverty, and broken families. When people say that “Prohibition failed,” they usually mean that it could not keep people from drinking. This is, of course, true, but no law is 100 percent successful. We need to take a closer look at Prohibition before judging its success or failure. 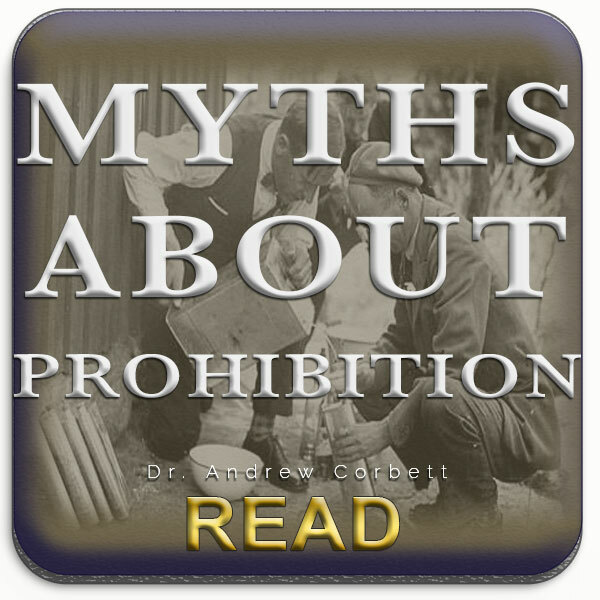 To understand the objective behind Prohibition, it is important to understand the history leading up to the Amendment. The Eighteenth Amendment, which was ratified in 1919, came about only after a long process of activism against alcohol (led largely by sober women fed up with drunk men). This anti-alcohol movement wasn’t as much motivated by a moral objection to drinking as it was by the immorality, family dysfunction, and criminal activity that drinking spawned. Opponents to Prohibition, particularly the big breweries of Detroit, vehemently opposed Prohibition for obvious reasons – but not necessarily arguing against the Prohibitionists’ motives. They argued that: you can’t legislate morality, laws don’t change people’s behaviour, people will still be able to get alcohol despite a ban, and an illegal Black market (pardon the tautology) would be created. Many of the Prohibitionists were realistic about their goals. Completely stopping alcohol consumption, while the ideal outcome for the Prohibitionists, was not the sole goal. They realised that if laws could be passed restricting the consumption of alcohol it would have a powerful educative role, a significant restraint on public behaviour and attitudes, and an ability to restrain violence through incarceration for the protection of the abused. What most people don’t realise is that when the 18th Amendment was repealed in 1933 the average annual rate of hard liquor consumption had been reduced to a few ounces per person. Not until 1975 did American annual per capita alcohol consumption return to pre-Prohibition rates! Coupled with this was the dramatic decline domestic violence rates, murders, work-place absenteeism that coincided the period of Prohibition. [Source: Geisler & Turek] Was the American Prohibition “experiment” really a failure? Prohibition is still practiced today. Not just in regards to alcohol (although there are countries and states which still have Prohibition of Alcohol- including my country of Australia where many Outback Aboriginal communities are “Dry” by Law) but in regards to other abuses and socially unacceptable behaviour. For example, murder is prohibited in most places. But if we applied the Anti–Prohibitionists arguments that Prohibition is only acceptable if it completely stops a certain behaviour then we would have to overturn murder laws! (Since the Prohibition on Murder has not stopped people murdering.) This is obviously faulty logic. Laws against murder are as much educative, as they are prohibitive. This does not demean their enforcement because this too reinforces the educative value of the legislation. Prohibition in some form is still a present reality in most parts of the world. Prohibitive Laws are educative. But it would be wrong to assume that they are only educative. There is a myth that Prohibition never really changes behaviour. But Prohibitive Laws do curb behaviour. Put another way, what we legislate we encourage. Most people would acknowledge that murder is wrong. Most people would also deny the possibility that they would ever commit a murder even if there were no laws against it. But most of us intuitively know that if the Prohibitions against murder were removed, there would probably be an outbreak of murders. This point is made by our most famous example of Prohibition. Despite outcries that these laws would not be possible to enforce or that they would never change anyone’s behaviour, or that people would still violate them anyway (therefore we are better off regulating them rather than prohibiting them), the facts are that liquor consumption rates per capita dropped dramatically, and remained low for the next 50 years! Coupled with that, the reason for the Prohibition in the first place (domestic violence, spiraling crime rates, workplace injuries) all decreased over the period of the Prohibition. The reality of any Prohibitive Law is that some people will never comply with it. But this doesn’t mean that a Prohibition should be removed. Secondly, while Prohibition will generally change societal attitudes, it is unrealistic to expect unanimous societal endorsement for every Prohibition. Smoking cigarettes in public places is increasingly being banned around the world (Paris recently banned it, Tasmania is about to introduce tough anti-smoking laws). Naturally, Tobacco company executives and addicted smokers are opposed to such laws. But the overwhelming weight of evidence shows that smoking in public places endangers the health of nearby non-smokers. And this leads us to the basis for any Prohibition: the public good. The famous American Prohibition was introduced for social reasons – public health and safety – which the cause of which (alcohol abuse) was so widely acknowledged that it was able to be passed into Law. 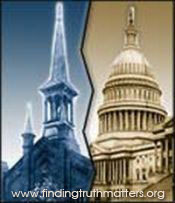 Some Christians argue that we cannot impose our morals onto a secular society. If by this they mean that we should not be trying to commence a theocracy (‘the rule of God’ where no human Government is instituted), I absolutely agree. But if by this they mean that Christians should not contribute into the formation of societal standards and welfare, I vigorously disagree. When we argue that women, children, minorities, the disabled, immigrants, should be protected by law against abuse and injustice we are actually promoting core Biblical moral standards. The Bible strenously charges us to look after “widows and orphans“. William Carey knew this when he went to India in the 1790s. He saw gross abuse of these groups in Indian society where widows were murdered on their dead husband’s funeral bier and children were treated as slaves (in every way). He arduously worked to stop this abuse. He encountered arguments designed to squelch his efforts, such as “don’t interfere with indigenous culture“, “don’t impose Christian morals on people practicing another religion“, and so on. But he knew that this practice was contrary to the public good (especially for widows!). Carey eventually succeeded in convincing authorities to introduce a Prohibition of Sati. It is a myth to think that we cannot legislate morality. In fact, legislators can onlylegislate morality! 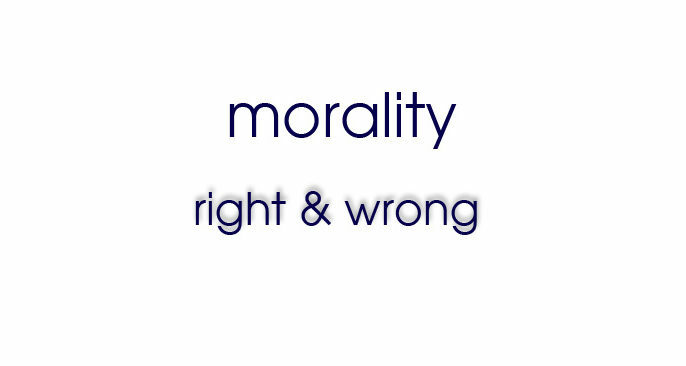 Morality is the measure of right from wrong conduct. Laws only enforce what is right (even if they aren’t right, once they are legislated they define what is right). The test of morality is whether a behaviour harms or deprives someone of their natural natural rights. 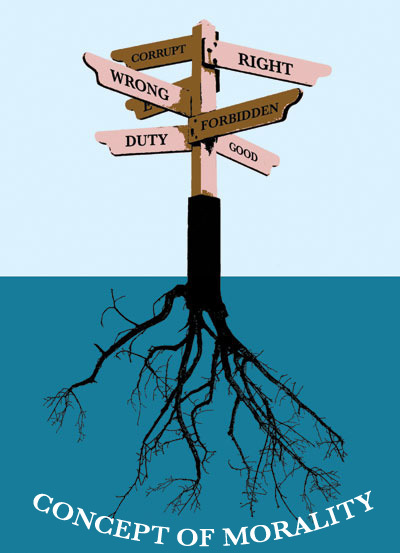 It is theologically faulty to confuse religious obligations with moral obligations. But this is what some Christians have done when they have protested about other Christians striving to maintain and uphold moral standards in society. They have confused religion with morality thinking that these Christians were trying to impose religious obligations upon society. When Christians protest attempts to promote immorality they are not being religious – they are being caring! If Christians wanted to legislate compulsory baptisms – that would be seeking to legislate religion on society, but not when they protest abortion, sexual deviancy or the sanctity of marriage! The basis of the rule of Law is the Biblical Law of Moses: the Ten Commandments. It is this Law that Jesus reinforced in Matthew 5 then finished His earthly ministry commissioning His disciples to disciple nations by: teaching the commands of God. Christians are therefore more than obliged to contribute to society’s canon of acceptable morality. In fact, based on the Great Commission, Christians are more than obligated to promote the commands of Christ as the basis for the Rule of Law. It may profit many Christians to study the teaching of Jesus Christ to realise that nearly all of His commands were moral not religious in nature. It is when Christians boldly seek to defend the morality promoted by Christ that they are actually showing care and concern for society. And I suggest that it is care and concern for others which should motivate Christians to promote the morality of Jesus rather than merely being moralistic. The Bible is black and white about certain issues such as murder, lying, property rights, and interpersonal relationships. But there are some issues that Christians feel very strongly about such as family values, hygiene, church attendance and fashion, that the Bible appears not to be very categorical about. Another issue that stirs emotions ranging from anger and disgust, to, indifference and carelessness, is the use of alcohol. In discussing the issue of alcohol I want to avoid two dangerous extremes. Firstly, man-made legalism which teaches that the salvation Christ purchased through His blood shed on the cross, and received by putting our faith in Him, is in doubt if we break a man-made rule. Secondly, antinomianism (a license to sin) where a person is under no obligations whatsoever to walk worthy of the salvation that Christ offers. In relation to alcohol, I want to stress that their various opinions among Christians that are worthy of respect. Throughout history there have been some very godly and influential Christians who have drunk alcohol (for example, Martin Luther used to brew and drink his own beer, Charles Spurgeon also drank hard liquor), and other equally great and influential Christians who were temperate (non-drinkers). One of the reasons I have never preached on the subject of alcohol is my concern that some people who hold very passionate views either way and will make this an issue for our mutual fellowship. I’m reminded that doctrines never divide, only attitudes do. I trust that we are mature enough to perhaps disagree yet enjoy fellowship with each other. Therefore, in stressing the main points of this article I need to stress that if someone disagrees with these findings and conclusions found here, I am not suggesting that their salvation is in question, or that they are not striving to live a liberated and godly life. I have endeavoured to avoid these two deadly extremes of legalism and antinomianism in presenting this article. He who regards one day as special, does so to the Lord. He who eats meat, eats to the Lord, for he gives thanks to God; and he who abstains, does so to the Lord and gives thanks to God… (v. 22) So whatever you believe about these things keep between yourself and God. Blessed is the man who does not condemn himself by what he approves.(v. 23) But the man who has doubts is condemned if he eats, because his eating is not from faith; and everything that does not come from faith is sin. The New Testament presents the believer with certain issues that are grey areas where the believer should decide for themselves whether they are tight or wrong. Eating meat, drinking alcohol, and observing a rest day as holy to the Lord, are a matter of conscience. To assist the believer’s conscience come to a “fully persuaded” Biblical position it is helpful, if not inevitable, that a survey of what the Bible says is needed. In this sense then because these issues are grey, there is no one passage that deals with it. We therefore have to examine the overall Biblical presentation of an issue to formulate a clear “fully persuaded” position. There are certain issues that the Bible seems to approve of, but many believers would clearly condemn. For example: polygamy (being married to more than one person at a time). We could justify polygamy (the marriage to more than one spouse) by pointing to Biblical characters who practised polygamy, such as Abraham, Jacob, and David. We could say that the New Testament nowhere condemns polygamy, it simply says that a man could not be an elder in a church if he was the husband of more than one wife (1Timothy 3:2 NIV – Now the overseer must be above reproach, the husband of but one wife, temperate, self-controlled, respectable, hospitable, able to teach). Yet when we take an overall look at the Biblical presentation of polygamy, we see that it paints polygamy as being fraught with moral, spiritual, material, and physical danger. Polygamy was the downfall of Patriarchs, Kings, and common men alike. It led to family schisms that often resulted in treachery and even murder. Clearly, the overall presentation of polygamy is to condemn it. This condemnation is doubly subtle when you consider the parallels that Bible makes about monogamous marriages. It uses Adam and Eve, God and Israel, Christ and the Church as examples and models of godly marriages. 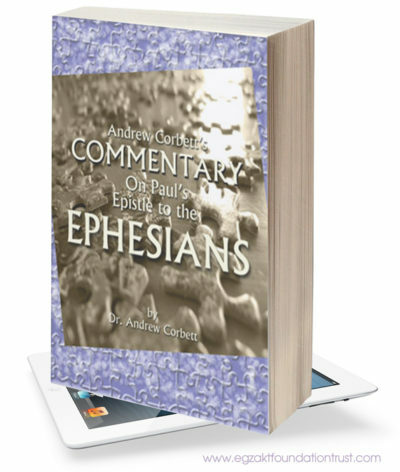 I trust that you can see some principles here in the way the Bible should be interpreted: where the Scripture seems to silent, we need to closely note its overallmessage. 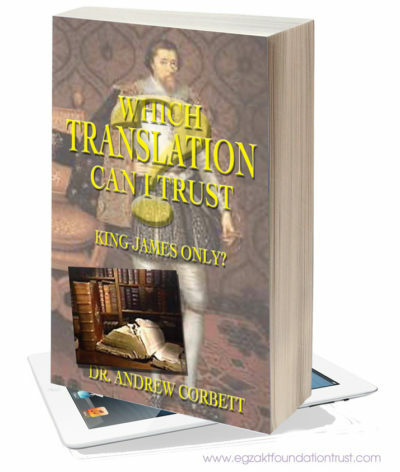 We are therefore endeavouring to employ principles of interpretation, rather than seeking to uncover obscure Biblical laws. The use of alcohol can be viewed just like we view polygamy. We will survey what the Bible has to say about the use of alcohol, in much the same way that we have done with what it says about polygamy. 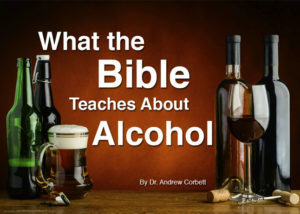 By using these principles of ascertaining a Biblical position, we will see that the principles for determining whether alcohol usage is compatible with Christianity are identical other similar issues such as smoking (nicotine), illicit drug usage, pharmaceutical abuse, and other substance abuses. The first mention of alcohol in the Bible deals with the shaming of Noah, and the subsequent mockery by his son Ham. Noah, a man of the soil, proceeded to plant a vineyard. When he drank some of its wine, he became drunk and lay uncovered inside his tent. This was a foolish indiscretion on the part of Noah. It resulted in his son being cursed, and a family division between the brothers that led to the generational Israel-Philistia conflicts. The next major reference to the use of alcohol in Scripture is when the daughters of Lot got their father drunk. One day the older daughter said to the younger, “Our father is old, and there is no man around here to lie with us, as is the custom all over the earth. Let’s get our father to drink wine and then lie with him and preserve our family line through our father.” That night they got their father to drink wine, and the older daughter went in and lay with him. He was not aware of it when she lay down or when she got up. In the Book of Numbers, the Lord instructs people how to fully commit themselves to Him. It should be stressed in the midst of these major references, there are other references to alcohol being used in offerings. It was an ingrained part of the culture, in much the same way that polygamy was. But when God would put His blessing on someone, it was said so that an expression of prosperity was used: abundant grain and new wine. For example, Isaac’s blessing of Jacob. May God give you of heaven’s dew and of earth’s richness– an abundance of grain and new wine. It’s worth noting that the blessing was for “new wine”, (Hebrew word: tiyrowsh), which was different to fermented wine (Hebrew word, yayin). New wine was sweet, freshly squeezed grape juice. Interestingly, every reference to God’s blessing expressed as abundant grain and wine always refers to tiyrowsh, unfermented, sweet grape juice. When Samson was dedicated to the Lord, he was not to drink alcohol. Absalom, son of King David, was able to murder his brother because Amnon got drunk. He who loves pleasure will become poor; whoever loves wine and oil will never be rich. (4) “It is not for kings, O Lemuel– not for kings to drink wine, not for rulers to crave beer, (5) lest they drink and forget what the law decrees, and deprive all the oppressed of their rights. (6) Give beer to those who are perishing, wine to those who are in anguish; (7) let them drink and forget their poverty and remember their misery no more. ‘Jonadab son of Recab ordered his sons not to drink wine and this command has been kept. To this day they do not drink wine, because they obey their forefather’s command. But I have spoken to you again and again, yet you have not obeyed me. No priest is to drink wine when he enters the inner court. Daniel refused to drink wine. 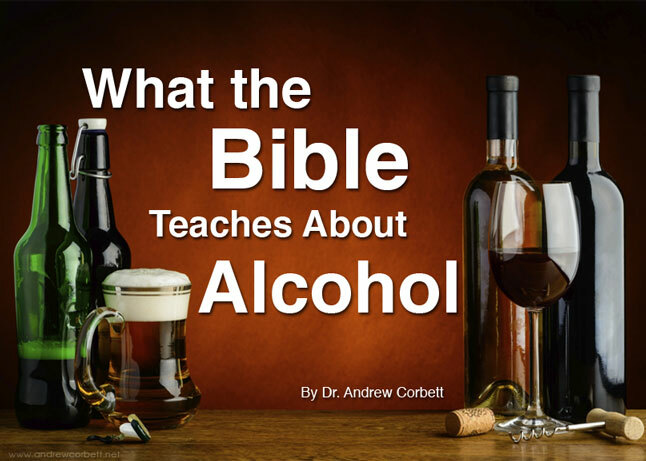 The survey that we have just done of the Old Testament about alcohol, presents an overall message that alcohol is neither wise, beneficial, or complimentary to a godly life. It must be remembered that this is presented against the backdrop of where alcohol was as much a part of culture as eating. Yet the Scriptures present it in the light we have just seen. – it would have been extremely unlikely that Christ would have violated such a basic principle of ministering to God. Some people also use the Nazirite vow of Numbers 6 to substantiate that Christ would not have drunk alcohol. This is perhaps a legitimate use of the passage so long as it is understood that Christ was a Nazarene (Matthew 2:23), not a Nazirite, and that the original passage allowed for the extreme possibility of even grape products being fermented themselves, which was increasingly possible due to desert conditions, and lack of refrigeration. This is confirmed when we observe how the Nazirite vow was applied to John the Baptist. Just as in the Old Testament, where there were two distinguishing words for alcoholic wine, and non-alcoholic wine, so it is that many scholars believe it is with the New Testament. “New Wine” was grape juice that had not been given the time for the sugars in the juice to ferment. The ancients could chill grape juice wine for extended periods of time by placing the wine into skins, tying a rope around it, and dropping it into a cool stream suspended from a tree, to prevent it from becoming fermented. “Wine” in the New Testament is the Greek word: oinos. This word can be either alcoholic wine, or non-alcoholic wine. For example, there are Scriptures which warn against mis-use of oinos which would acknowledge the Bible’s dual use of this word (Eph. 5:18; Rom. 14:21; 1Tim. 3:8; Titus 2:3- which all imply drunkenness from oinos). But the Greek word for wine which always refers to alcoholic wine (gleukos) is never used of non-alcoholic wine. G1098. γλεῦκος gleukos, glyoo´-kos; akin to 1099; sweet wine, i.e. (properly) must (fresh juice), but used of the more saccharine (and therefore highly inebriating) fermented wine: — new wine. 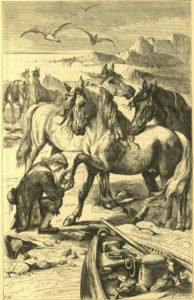 There is enough classic literature from antiquity to show that oinos was most commonly non-alcoholic. It was usually condensed through evaporation (either over a flame, or naturally) into a honey-like concentrate that could be rehydrated at a later time. In the Odessey, an ancient Greek tale, the central character sets sail on a ship that takes him on an epic journey. His fluids are sustained as he dilutes the wine-concentrate into oinos (non-alcoholic). The most common mixture was wine diluted with water. The ratio of water to wine varied, but the quantity of water was almost always greater than that of wine. The favoured mixture for the Greeks was one part wine and three parts water…During Roman times the ordinary table beverage was wine mixed with water (see Ferguson). Since the water was not completely safe to drink, mixing wine with water had a purifying effect on the water (cf. 1Tim 5:23). Interestingly, Christ’s first miracle also involved water becoming wine (oinos). Once more he visited Cana in Galilee, where he had turned the water into wine (oinos). And there was a certain royal official whose son lay sick at Capernaum. This is the wine that Jesus drank. The New Testament has another word that scholar James Strong in the Strong’s Concordance says is used for alcoholic wine: gleukos. This was wine where the sugars had been allowed to ferment it. Strong’s Concordance defines this word for wine as highly intoxicating, fermented wine. On the Day of Pentecost, the disciples are accused of having been drinking too much wine, gleukos, not oinos. It is better not to eat meat or drink wine or to do anything else that will cause your brother to fall. Alcohol affects the brain (loss of memory and brain injury), the muscles (loss of muscle tissue), the heart (high blood pressure), the lungs (increases the likelihood of infection), the stomach (ulcers), the intestines (ulcers), the nervous system (tingling and loss of sensation in the hands and feet), the skin (flushing, sweating, and bruising), the liver (severe swelling and pain, hepatitis, and cirrhosis), the pancreas (pains), the testicles of men (shrinking), and increases the risk of foetal damage to pregnant women. But doesn’t the Bible teach that a little wine is good for us? You have filled my heart with greater joy than when their grain and new wine abound. I have sought to give some Biblical and natural reasons for not drinking. I realise that there are people who have strong and differing views about these matters. But I trust that this has given you some food for thought, and that you can come to a position of being fully persuaded in your own mind about these matters. I believe that it is advisable for Christians not to drink. Too many missionaries have been sent back home as alcoholics from cultures where drinking was integral to the culture, after having been told that alcohol was amoral and only subject to cultural context. I believe that Scriptures present the believer with alcohol as being allowable, but strongly unadvisable. I believe the Christian loses nothing by refusing to drink alcohol, but gains much by the same position.